Once in a while you get a tip from a reliable fishing buddy that turns out to be a jaw-dropping experience. 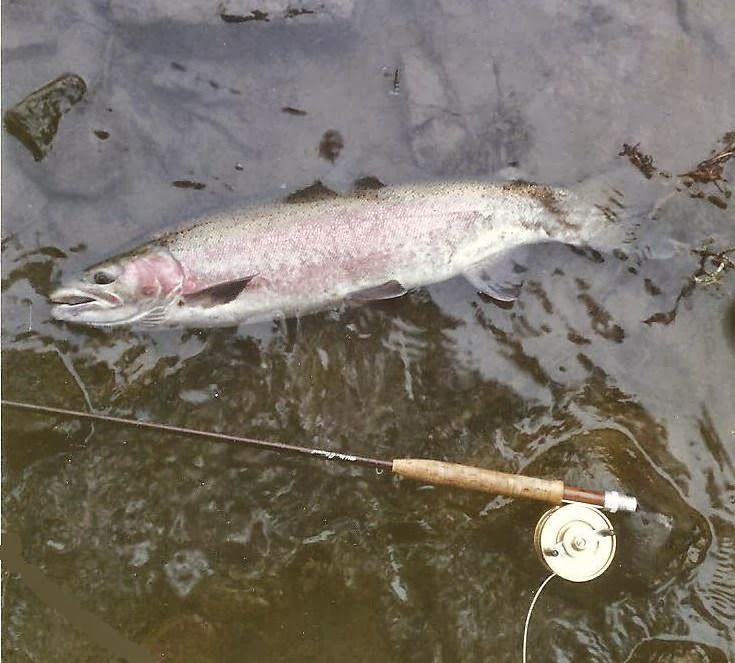 A friend of mine from Kalama, Washington called me one evening and said that the Eastfork of Lewis River was loaded with a fresh run of winter steelhead. The next morning I drove to a good fishing hole above Day Break Bridge where I parked my rig just at dawn. In nervous anticipation I rigged up my nine-foot Orvis Rivermaster, put on my waders and fishing vest, and headed toward the river. The water I was going to fish was located below some pocket water that was broken up by boulders, fast chutes and riffles that mellowed out into a long run. I could almost sense the presence of fish. I waded five feet out and peered intently into the water to spot some fish, but nothing was clearly visible because of a slight tinge of silt. I began casting my ten-foot sink-tip line with high hopes. It took almost an hour to cover the water all the way down to the tailout and I never had a strike. Were the fish still in the lower river or had they already passed through? Maybe I had the wrong fly on, or maybe I needed to change to a different line so I could cover the water better. With a low morning sun beginning to grace the water, I tied on a new pattern and I waded out again to work the run with more intensity. However, after another hour of fruitless casting I reeled in. Suddenly, I saw two fellows in a drift boat floating downriver and within minutes they drifted into my water. 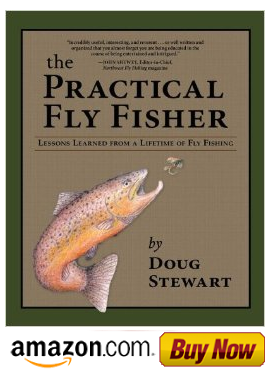 As they drifted downriver I put on another fly and started casting feverishly. Sometimes in order to catch steelhead you have to have patience, persistence and a hard-headed attitude. I caught and released one steelhead later that morning.